Letter sent to parents of a child care centre. 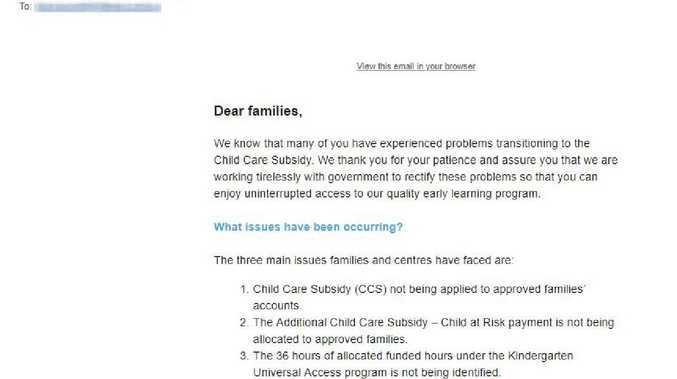 The Turnbull Government's new system was supposed to benefit up to one million families but it seems many parents are struggling to get the extra money thanks to glitches and unexpected limitations to their claims. "At first I ignored it and hoped it would go away," she said. "Then I got an email saying, 'Did you see the invoice?' I said, 'Yes' and that I was trying to figure out how to pay it. "I was nearly $6000 in debt. I have never had a credit card before in my life but I rocked up to the bank and said, 'I need a quick personal loan until the CCS comes through'." "It was so stressful," she said. "They were saying it might not come in the next fortnight. It might take a couple of months. 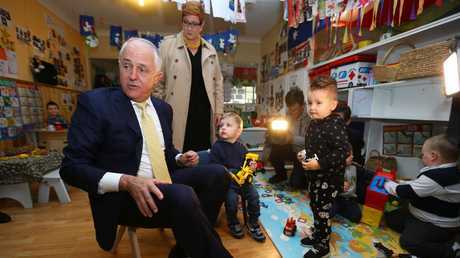 I would have had to stop work, simple as that - and take the kids out of early education." "I wasn't expecting this and had no prior warning of it," she said. The full-time employee normally gets 50 per cent of her childcare costs paid for, but this time she found herself charged an extra $500 for her daughter's four days of care. "It's a substantial amount of money to just come up with unexpectedly," she said. "It will definitely impact our budget as we have other bills that need to be paid. For other families, if they are on a tight budget, it could mean they are late with their electricity or other bills." It's also unclear how long it will take to get this money back. She has been advised to check her MyGov account for a message, which she hasn't received, or to contact Centrelink. But the Department of Human Services Facebook page is filled with complaints from people who say the information line is "permanently engaged". "I've been trying to call all yesterday and now this morning to again chase up a childcare benefit claim I put in 18 weeks ago … yes 18 … and I continually get a line busy signal. This is ridiculous," one fed-up parent wrote. 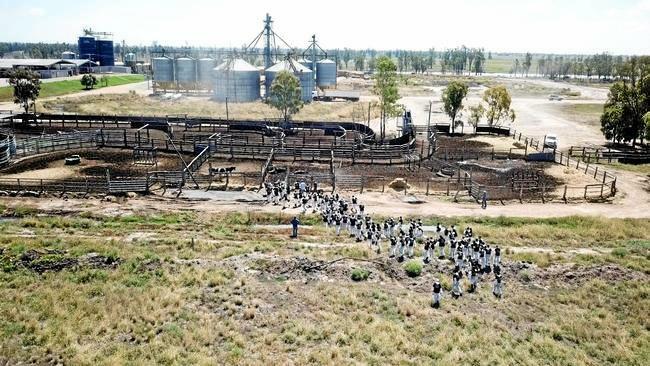 "I urge other centres to absolutely follow suit," he told ABC Radio Darwin. 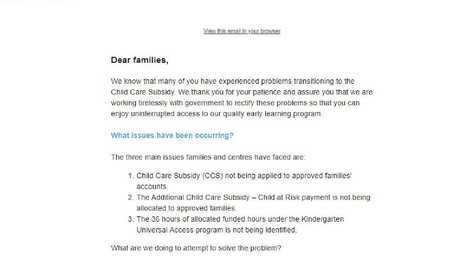 "I would also urge you (parents) to speak to your childcare centre about the fact that they are slugging for a very long day session, 11 or 12 hours, where very few children, if any, are likely to actually be in attendance for that length of time." Technical issues between two of 16 third-party software systems and the government's new funding system were understood to be to blame for the issue, affecting an unknown number of families. Senator Birmingham confirmed on Monday there were isolated cases being worked on by Department of Human Services and Centrelink staff following "a change of gargantuan proportion". "Our understanding is that there are - if any - very few unresolved issues," he said. "But if you happen to have had a hiccup along the way, we want to make sure that you get the help to ensure that it's a smooth process for you from here on in," Senator Birmingham said.